The school, École thématique CNRS, is devoted to braids and their different applications and aspects. This eigth edition of Winter Braids is supported by the Aix-MArseille Université , GDR Tresses, GDR singularités and Foundation Compositio Mathematica. Besides the main lectures, there will be short talks and a poster session devoted to student presentations (not necessarily focused on braids or their generalizations). This edition will be part of a thematic month on low dimensional topology at CIRM. All talks will be held in English. Practical informations are given on "Programme" and "Access" pages. 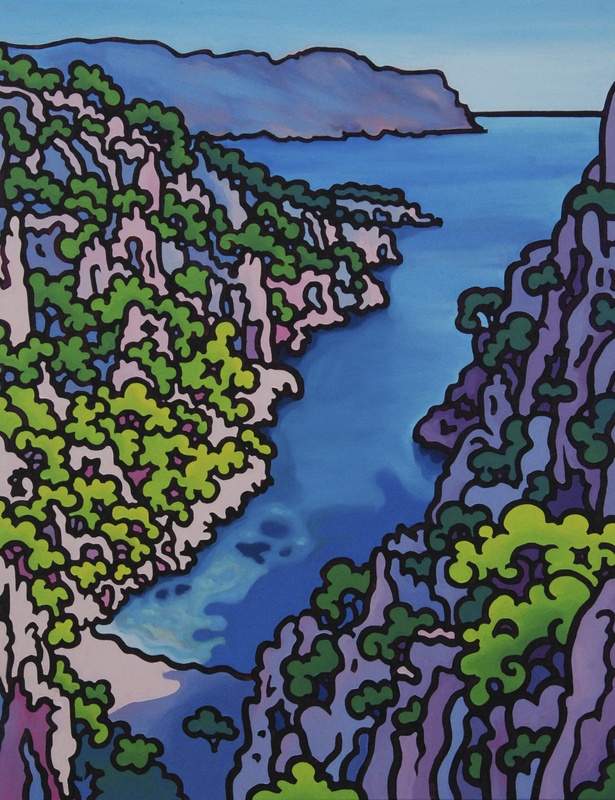 Calanque d'En-vau, vue plongeante, de Gwendoline Pieters. The first edition of Winter Braids was organized in Pau, the following in Caen, Grenoble, Dijon, back in Pau, Lille and Caen. The lecture notes for the mini-courses given at the school will be published in Winter Braids Lecture Notes, an open-access online journal edited by cedram.